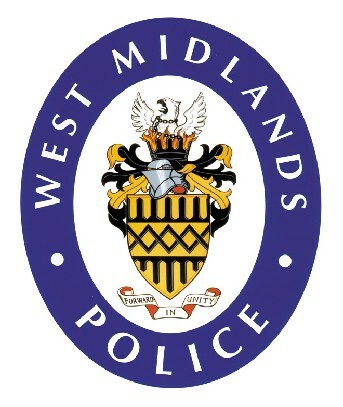 It appears that police supervisors in the West Midlands Police department have a certain lack of humor. Officers were frustrated by the demands of prosecutors for an account of an arrest involving a dog capture. The account lacked a witness statement. Finally, the officers completed a witness statement (below) on behalf of “PC Peach” and then posted a copy at the station. I personally thought it was a scream but supervisors told the officers that they are not amused. As a criminal defense attorney, I have to note that this is far more accurate than many field reports that I have read in litigation. The form was removed by humorless supervisors but not before a true public servant took a picture below. The officer who shared the picture, PC Mark Tissington, is now being looked at by the internal discipline unit. I am not sure what it could be other than a “light-hearted exchange.” However, if the Midlands police has an ounce of sense they will give these officers a medal and a raise. They have single-handedly improved the standing of police in their community and gave us all a badly needed chuckle. By the way, looking at the picture above of the new recruits for the dog unit, supervisors may have their hands full. This new class looks like a canine version of a Police Academy movie cast of cut-ups and jokers. A bark in time saved mine. One agency I worked at before the sheriff’s office was one where funny jokes like the one with the dog were actually routine. During that time we had a small holding cell that was used for drunks who were arrested for DUI that had a breath test device in it. (BAC Datamaster) There was a small unused window on one of the walls. To kind of lighten things up for the drunks we placed in there I put a mugshot of Lindsay Lohan in the window. Many of the guys I arrested got a bit of a laugh out of it. It kind of gave them a at least a moment of humor in an otherwise unpleasant event. The picture was up there for a few months. Then the department had a change of mid-level management due to a retirement. The new sergeant set the tone for the department and he was intolerant of anything out of the ordinary. Things went down from there. Of course I never directed it at anyone. Stupidity is abound everywhere. The arrestees, fools we dealt with on the street, anybody for that matter. But the cartoon didn’t last one day and the sergeant took it down, barking out how it was insulting to management. The dog is more articulate than a number of human witnesses I have encountered. And the dog is undoubtedly more honest than most human witnesses too. What a pity someone did not send a photo copy to the prosecutor’s office then you would really see who lacks a sense of humour. That may well get you fired or demoted I suspect. I’m sitting in my hotel room here in London where I’m visiting my daughter studying at King’s College for a semester and I got a real kick out of this story. I actually always thought that the English people have a peculiar humor which I love. I must thus agree with some of the above statements that humor gets killed by people who take themselves far too serious. This is a signed witness statement and might get by an objection in court if the officer was asked to state what the dog had stated to him and the defendant raised the objection of Hearsay of The Dog. I would say that it is a stretch of the hearsay rules and that it would be required to put the dog on the stand. Raise your right paw and repeat after me. As you know JT, the “dog alert” case is now in the U.S. Supreme Court. But the litigants did not raise the issue properly in the trial court. They did not raise the objection of Hearsay of The Dog. After all, when the dog smelled the pot he barked and grunted and wagged the tail. The cop describes this as an “alert”. Year, but what if the dog wanted to go outside and pee? He would “alert” by barking and grunting in another message. Therefore, the officer is listening and the dog has spoken. So, when the cop says that the dog alerted him he is really saying that the dog told him that there is pot in the bedroom or pot in the trunk of the car. That, is hearsay. They must put the dog on the stand. Raise your right paw and repeat after me Justice Scalia. After all, we want to know the original intent of the Framers of the Constitution. This type of humor is a true litmus test of what it is like to work for a particular agency / supervisor. A good agency, the “statement” would have stayed on the wall for months, a bad agency it would have been taken down immediately…an agency ran by jackasses, an investigation. Jackass agencies attack anything that deviates from the straight and narrow. They don’t like anything that is might involve humor. The reason, they have this heightened and paranoid sense of fear that someone might object to something one of their officers did and they might lose face. (even if this is a very remote chance) Plus, they don’t like officers acting on their own initiative because that shows individuality and violates the expectation that they be subjects of management. I’m just thankful that the last agency I worked for was a good one. The squad room at the S.O. had items like that on the wall all the time. Every once in a while one of the deputies would do something funny/embarassing and some artist would post a cartoon spoof of him. There was nothing wrong with this or any of the other jokes that we were often playing on each other. You have to put up with a lot of stress in this line of work, and other lines as well certainly. Why make it worse by taking out the humanity of it. I have found that a cop with a sense of humor is nearly always a very good cop since they do not take themselves so seriously that they forget that they and the public are fellow human beings. The cops deserve a commendation, not censure, and I hope the British public will come to their defense. it is good to see the PC police are in England as well. There is always one bad apple in every litter! A sense of humor goes a long ways.